Choosing to be more beautiful is easy. Which hair extension system to buy … not so much. Getting hair extensions starts out like a hot romance … Head over heels in love we often overlook glaring warning signs of trouble ahead. It’s important to understand the risks and maintenance involved in committing to invasive hair extensions that require bonding, gluing or taping. 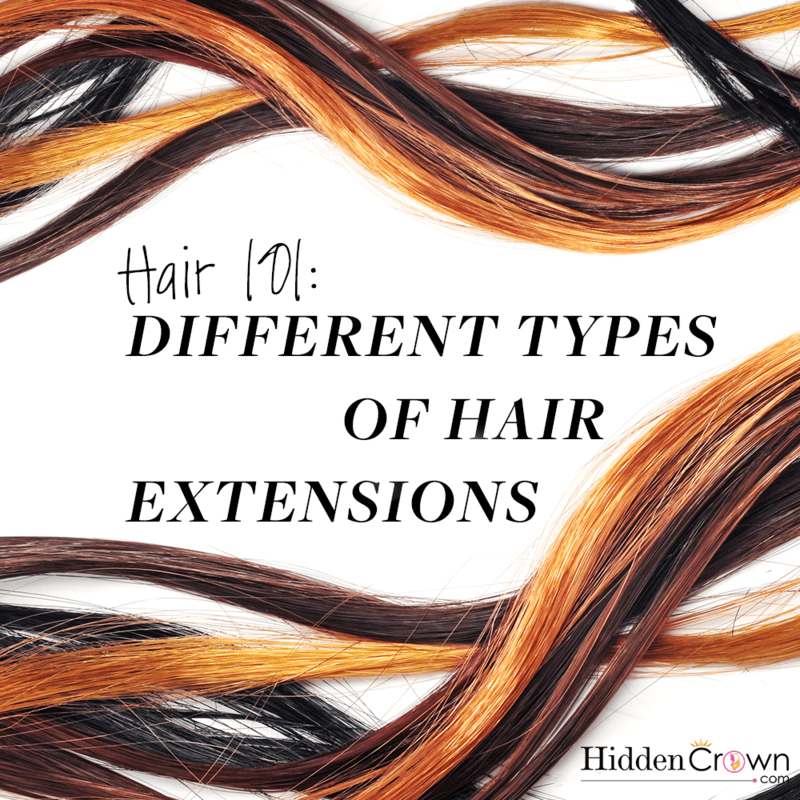 Extensions that are bonded or fused with keratin are often touted as safe, but the hair extensions are fused to your own hair strands with heat. It seems innocent enough, but most experts agree that this is the most damaging type of extension to use. Other methods of attaching hair include micro beads, tape, glue and clips. All of these methods can be harsh and damaging to your scalp and natural hair. Add on thin or overly processed hair and you can imagine the amount of stress being placed on your locks and the breakage that may happen. The safest and easiest method to gain more hair is our very own Hidden Crown Hair Extensions. This incorporates an entire set of clip in extensions onto one single piece (weft) of hair on an invisible wire. The beauty of this design is that it requires no clips, no glue, no bonds and results in NO DAMAGE to your own natural hair. All that is required is to place it on your head and pull your own hair over top. The weight of your own hair is what secures it and keeps it from falling off. It may seems hard to believe, but 100% true. The transparent wire is hidden easily and is fully adjustable. Our Hidden Crown hair extension is by far the best in the industry. It offers the most amount of hair (120-140 grams) and placement of the hair is ear to ear (13 inches wide). This is important because most of us do not just want added length in back, but we also desire a bit more volume on the sides of our heads like other more damaging extension systems use. The extensions are also 100% best available quality, Remy human hair – cuticle correct and the same thickness from top to bottom. (Other hair can be thinner at the bottom). The VERY best part of the Hidden Crown story – the PRICE – almost half of another popular salon brand! With no middleman involved, the Hidden Crown is less than half of salon offered hair extensions which can quickly reach almost a thousand dollars. Bonnie also gives us her own Hair 101 talk, watch the video below!